Climbit: A DIY wearable fitness tracker that tracks the amount of feet that you climb #WearableWednesday « Adafruit Industries – Makers, hackers, artists, designers and engineers! Thanks to Zymurgeneticist for writing in to share this project with us! View the full tutorial on Instructables here. 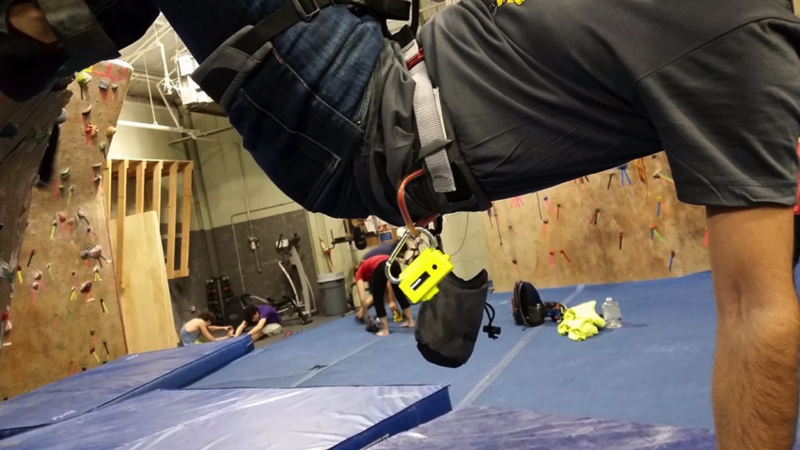 The idea for this bit of wearable tech was born out of a climb-a-thon that I do annually to benefit First Descents, an organization that gets young cancer survivors like myself living a life beyond cancer. For the climb-a-thon, participants usually set a goal and climb to that goal to help raise donations. Many set that goal as their distance climbed, either setting a goal of say 500 ft or climbing a foot for every $1-5 raised. I thought for the next climb-a-thon it would be great to have a piece of wearable tech to track the amount I climbed, like a fitness tracker. I would then be able to make another one as an incentive for others on my team to help spur donations. 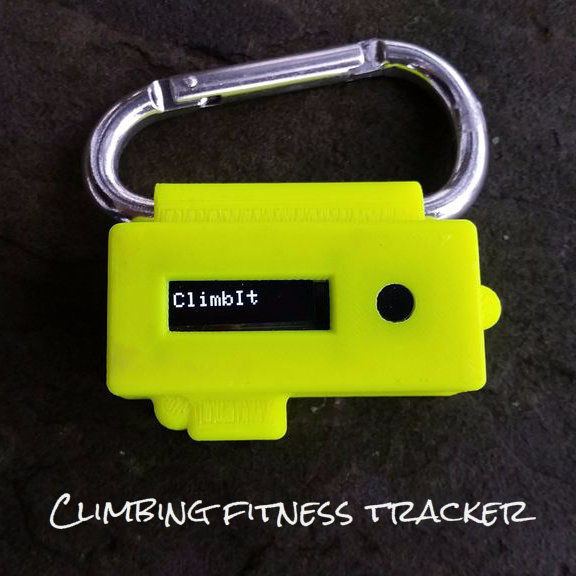 From that I developed Climbit, an altimeter-enabled fitness tracker that tracks the amount you climb! 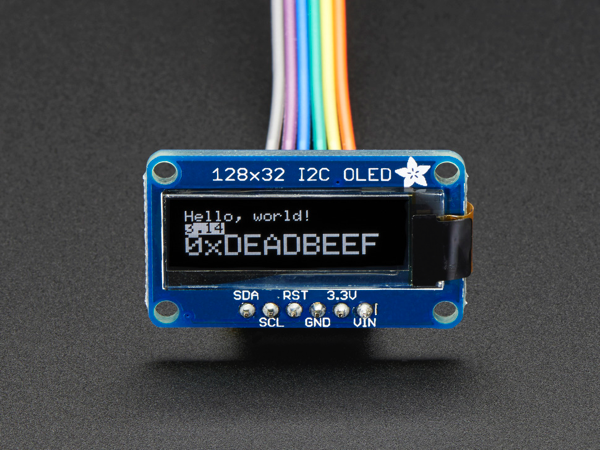 Monochrome 128×32 I2C OLED graphic display: These displays are small, only about 1″ diagonal, but very readable due to the high contrast of an OLED display. This display is made of 128×32 individual white OLED pixels, each one is turned on or off by the controller chip. Because the display makes its own light, no backlight is required. This reduces the power required to run the OLED and is why the display has such high contrast; we really like this miniature display for its crispness! Read more. 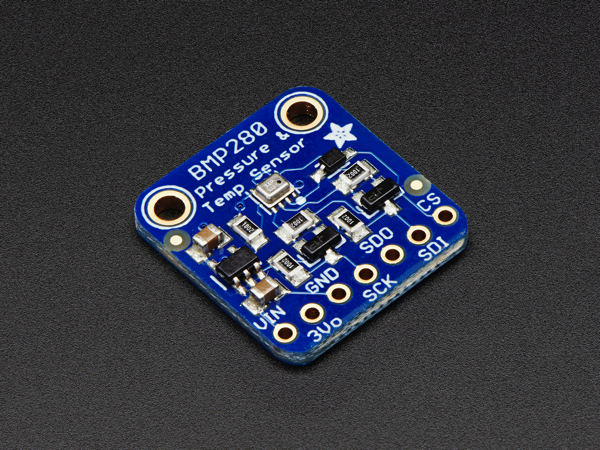 Adafruit BMP280 I2C or SPI Barometric Pressure & Altitude Sensor: Bosch has stepped up their game with their new BMP280 sensor, an environmental sensor with temperature, barometric pressure that is the next generation upgrade to the BMP085/BMP180/BMP183. This sensor is great for all sorts of weather sensing and can even be used in both I2C and SPI! Read more.